The Darien YMCA invites you to visit our Training Center, an expansive and open space dedicated to personal training and functional training modalities. This facility features traditional weight equipment such as squat racks, cable machines, a bench press and free weights in addition to housing old school tools of trade like kettlebells, sandbags, battle ropes, and tires. Whether you’d like a tour of our fitness facilities, have questions about our group fitness classes, or are interested in working with a personal trainer, we’re here to help! 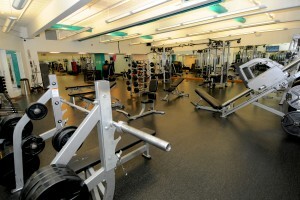 Simply email us at wellnesscenter@darien-ymca.org or call us at 203-655-8228 x1322.